e are constantly striving to improve their skills and at the same time have great fun playing it. 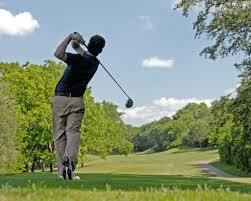 There are many pleasures a golfer can derive from playing this sport. One benefit is that it provides the player an opportunity to escape from the pressures of everyday life. The golf course is a wonderful place to relax. It is quiet, scenic and the natural wildlife forms a great getaway from the busy, hectic lifestyle of the outside world. Another benefit of playing golf is that the player gets to feel a great sense of joy and personal achievement when attaining a good score. The striking of a nice shot is a great fulfillment. Hence, playing golf is a gratifying and rewarding sport. Golf is a wonderful social game. It provides an opportunity for people who like the same sport to come together and share their common interest. Long lasting friendships can be created. Golf enthusiasts have the chance of spending a great time outdoors with friends and family, doing something they enjoy together. As all of them know the experience of a bad shot or a good hit, they can share their experiences with one another. Through these joyful and disappointing experiences, they develop friendships and fun that could last a lifetime. Golf is a game that can be enjoyed by all generations. It is a family game as it can accommodate the needs of children, parents and grandparents on the same stage. Hence, the sport can be used as a family get-together. Besides, playing golf is a good form of exercise. Playing the sport outdoor gives players fresh air and brisk walking provides very good exercise. As golf is known to be a game of honor, courtesy and sportsmanship, golfers feel proud to be involved in the sport. In particular, the sportsmanship and standard of behavior attached to this sport which was passed down from previous generations is the pride of many golfers. kills in order to play well. If a golfer wants to make progress, he or she needs to appreciate the wide range of skills associated with golf. As the sport requires many varied skills, it gives everyone an opportunity to demonstrate particular strengths. However, a player needs to develop his or her skills in all areas in order to play the game effectively. If a player just concentrate in one area, then the improvement made in the overall standard of the game will not be significant. 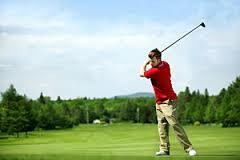 Furthermore, the players also need to adjust to various conditions of the course – the varying winds, weather, gradients, terrains, grass and temperature. In addition, they need to know how to deal with their emotions while playing the game. Apart from technical knowledge, elements such as patience, concentration, control and emotional stability are known to be essential factors for a well played game.